In the midst of a global environmental crisis, most of the current focus on tropical forest conservation centers on carbon emissions. In response, many multinational corporations operating in and sourcing from Latin America are establishing zero deforestation policies based around carbon stocks. The concerning question, however, is this: could the focus on climate overshadow biodiversity? If so, what would a low carbon world with impaired biodiversity look like? Additionally, in Latin America a number of big companies have recently made high profile zero deforestation commitments that seem to extend well beyond the traditional reach of corporate social responsibility. Are attitudes of the biggest companies also changing with respect to biodiversity conservation? – What are the current attitudes and actions of industrial giants in Latin America in respect to both carbon offsets and biodiversity conservation? 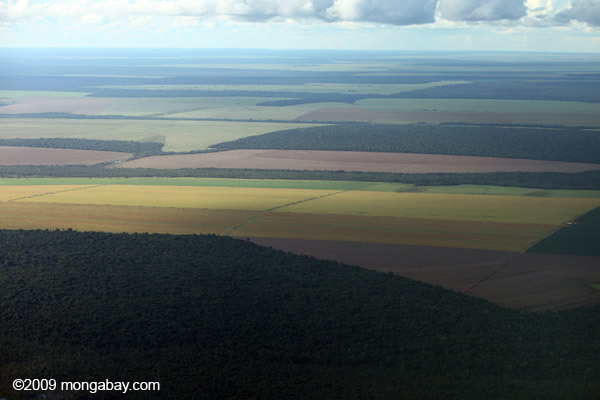 – What do zero deforestation commitments really mean? How do zero deforestation commitments tie in with biodiversity conservation? – Is a focus on carbon finance leading land managers and governments in Latin America to prioritize carbon values over biodiversity? – Are attitudes toward biodiversity as an ecosystem service changing? – Is there a role for mechanisms like biodiversity offsetting? Is biodiversity offsetting actually a net benefit for biodiversity? – Some big NGOs have aligned themselves with big industrial companies. Where does biodiversity fit into these relationships? – What is the current state of markets for products derived from biodiversity (e.g. medicines, supplements)? Are biopiracy concerns being addressed? – What sort of safeguards could be implemented to minimize risks to biodiversity in low-carbon landscapes? This SRI does not have a specific focal geography, though research must be focused on areas in Latin America with established biodiversity value and that have active big industrial players. Your proposal will be evaluated based on the originality of your idea and your ability to write and publish a series of interesting and engaging stories. Mongabay.org will commit up to $15,000 to fund the top proposal: $12,000 as a stipend and up to $3,000 for reporting and travel costs. You will have two months for travel and research and two months for writing. You can work from anywhere in the world. Application Deadline: Sunday, October 5th. Check out our Apply and FAQ pages to learn more about applying.